The Book of Proverbs (22.6) says “educate youth according to their needs, and even when they are older, they will not stray.” Our goal is to help all 8-12 graders at Adat Shalom find their paths. Learn more about the process of developing our programming alongside our teens. This weekly experience meets on Mondays from 6 to 8 p.m., and begins with dinner. Teens help set the agenda for the year’s programming. Earn high school and college credit simultaneously by taking Hebrew on Sunday evenings (5 to 7 p.m.) at Adat Shalom Synagogue. This fully accredited program will give you your high school language credits as well as transferable college credits. Classes meet from 5 to 7 p.m. on Sundays, beginning on September 16, and students are also required to complete additional work online each week. Oakland county high schools contribute to some of the cost of tuition each semester, and limited additional scholarship is available. 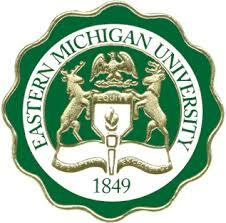 Earn up to 1.0 high school and 6 college credits per year. Contact Dr. Melissa Ser for more information, or call 248-626-2153. Other volunteer opportunities include Tech Connect, being a teen madrich (classroom assistant), and community-wide events such as J-Serve and PeerCorps. Thanks to a generous donor family, a 3-night, 4-day trip to another part of the country provides teens worthwhile opportunities to explore their Jewish identity and to foster their own relationships with one another and Adat Shalom’s professional leadership. 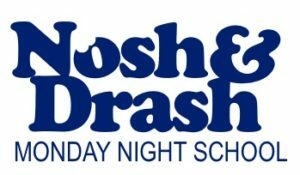 In partnership with Nosh & Drash, participants attend a learning series prior to and following the trip. This series prepares teens for the trip and provides them opportunities to gather and debrief after the trip. In 2016-2017, 27 teens attended the trip to the Paper Clips Project in Whitwell, Tennessee. 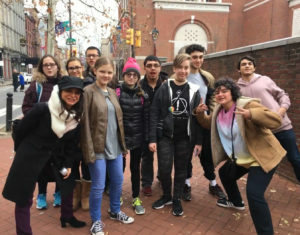 In 2017-2018, 27 teens attended the trip to Philadelphia. In 2018-2019, teens will be traveling to New York City. Teen Engagement trips are led by Rabbi Rachel Shere and Jodi Gross. To engage in meaningful travel experiences, led by clergy and educators, that are rooted in Jewish tradition, history and values. To have opportunities to meet and build relationships with teens from Adat Shalom and maintain those relationships long after the trip. To meet and interact with Jewish teens living in other cities. To empower teens with the knowledge that one person or one act can make a difference.